Knowledge, whether cultural or professional, is passed from one generation to the next. This is true in families, in societies, and in professions like nursing. However, knowledge of the art and science of nursing cannot be “passed on” without some type of structure. When formal, systematic methods are used to transmit knowledge, especially in an academic setting, the process and product are often referred to as the curriculum. This article will provide both novice and veteran nurse educators with the core components of nursing curriculum such as stakeholders, paradigm shifts, curricular models, levels of education, and evaluation. Other articles in this issue of the Journal will give more attention to specific curricular content such as spiritual and cultural care (see pages 20-32). Curriculum is conveyed in several different ways. There is the legitimate or official curriculum which Bevis and Watson8 assert is “the one agreed on by the faculty either implicitly or explicitly” containing the ethical framework that incorporates the philosophy and mission of the university/college and school/department. This framework is implemented through agreed-upon program- and student-learning outcomes, competencies, individual courses, course outlines, and syllabi. The official curriculum is formalized into written documents that are sent to accrediting agencies and shared with faculty, students, curriculum committee members, and other committees as appropriate. Beyond the legitimate curriculum, there are other types of curricula. In the late 1960s and into the 1970s, Jackson and Snyder observed that students often acquired unintended lessons while in school (college or university), referring to these lessons as the latent or hidden curriculum.9 However, educators recognize that students also absorb norms, values, and beliefs from the social environment of the school, such as when they engage in planned activities such as service learning.10 These complementary features of curriculum demonstrate the dynamic and varied aspects in the field of education in general and nursing education specifically. Thus, several common components, both stated and assumed, coexist in the definitions of curriculum. There are pre-selected goals or outcomes to be achieved. Content is selected and presented in a specific sequence in the program of study to achieve the desired levels of mastery or degree. Processes and experiences that facilitate learning for the traditional learner as well as the adult learner are identified. Resources must be identified and made available. Responsibility for learning is determined by the learner and the teacher, and where and how learning occurs may be identified.11 Because of the variety of perspectives, another way to interpret curriculum may be as follows: “1) knowledge organized and presented in a set of subjects or courses; 2) modes of thought; 3) cognitive/affective content and process; 4) instructional set of outcomes or performance objectives; 5) everything planned by faculty in a planned learning environment; 6) interschool activities, including extracurricular relationships; 7) individual learner’s experiences as a result of schooling.”12 A faculty, then, in consultation with professional, accrediting, and government associations, must make decisions about how each component of the curriculum will be conveyed and implemented. Since faculty have individual teaching styles and academic freedom, there must be an operational curriculum. This is what each teacher is required to transmit in areas of knowledge, skills, and attitudes. This is the curriculum that is communicated to the students. The assessed curriculum is that which is tested and evaluated, and the learned curriculum is what the student actually learns, which is sometimes not what the teachers think they taught. In nursing, as in other fields, not everything can be taught to students. Some content and skills are intentionally or inadvertently left out, possibly because there is not enough time in the schedule, or the content has not risen to a level of significance to warrant inclusion in the curriculum, or the content is deemed controversial by decision makers and intentionally excluded from the curriculum. Many nurse educators refer to this as the “null” curriculum.13 Bevis and Watson 14 assert that, in addition to factual content, faculty also attempt to teach certain behaviors such as caring and compassion. However, dispositions such as caring and compassion are not quantifiable into behavioral objectives that can be measured adequately or easily evaluated. For this reason, Bevis and Watson 15 call this the “illegitimate” curriculum. Illegitimate not because they are illegal or unsanctioned behaviors that should not be taught, but because these dispositions do not lend themselves to be described as behavioral objectives and are difficult to measure and assess. Curriculum stakeholders include the educational institution, its board of trustees, individual schools within the institution, faculty, students, and the public who support the institution. Equally important are government regulatory bodies, accrediting agencies, hospitals and clinics that partner with nursing programs, and professional organizations. Each of these groups may define curriculum differently. For example, for a number of years, state boards of nursing in the U.S. evaluated a school’s curriculum using a behaviorist model, so nursing schools had to define their projected learning outcomes using behavioral language such as this: “By the end of this course, the student will be able to demonstrate sterile technique.” While this is just one example, it shows that curriculum can be influenced by government requirements, professional standards, societal needs, institutional goals, faculty plans and purposes, and students’ interests and needs. Some of these layers of influence may unintentionally conflict with others in curriculum development.16 Because the faculty are usually the ones tasked with curriculum development or revision, they must consider and contend with all of the stakeholders and groups who influence a curriculum. A major paradigm shift has occurred in nursing education. While nurses used to be “trained” to perform certain skills, they now receive an “education,” which includes training in how to think critically, analyze situations, and collaborate with physicians and other medical professionals in managing and making decisions about patient care. Nurses, more than any other medical professional, are with patients 24/7. For this reason, they have a significant role and must be involved in the decision-making process. The paradigm shift includes a change from the memorization of specific techniques to understanding the rationale behind each step of the process; from memorization of content to developing the skills and wisdom to make appropriate clinical decisions based on sound judgment; from product thinking (focusing on the task and process) to values-based human caring (focusing on the person), and from maintenance-adaptation learning (doing things the way they have always been done) to anticipatory-innovative learning (intentionally seeking creative, innovative solutions to problems.20 Thus, rather than being static, modern nursing curricula are dynamic and fluid, and will continue to change. Four major recommendations emerged from a recent study funded by the Carnegie Foundation:21 (1) Students should be taught how to “think like a nurse”; (2) Classroom and clinical teaching should be integrated in order to replicate the realities of nursing practice; (3) Students should be taught multiple ways of thinking, including scientific reasoning, clinical reasoning, and use of the imagination; and (4) Students should learn to internalize what it means to be a professional. These recommendations, when put into practice, would focus nursing educators toward new ways to think about curriculum. The organization of curriculum is usually based on one of three models: block, concept-based, or competency-based. 1. A block curriculum is the most traditional, with content being taught according to medical condition, specialty, or age of the patients.22 However, in some areas of the world, block curriculum has another meaning. Not only does it refer to content organized by medical condition, specialty, or developmental age, but it also refers to all content (theory) being taught in the classroom for several weeks, after which nursing students spend several weeks at various facilities for their clinical experiences. This may be necessary due to the constraints of the available hospitals or clinics, but it is often simply a matter of tradition. 2. A concept-based curriculum-design model focuses on integrating core nursing concepts into the curriculum at the planning stage. Concepts such as pain, inflammation, elimination, human development, addiction, etc., are used to develop the curriculum.25 These concepts become the foci of courses. Faculty guide students through learning experiences that demonstrate how the concepts are expressed in various settings with different populations. For example, the concept of pain may be woven through several courses, where the student learns about the pathophysiology of pain, the causes and primary characteristics of pain, situations that may exacerbate pain, and how to evaluate and treat or relieve pain. Each core concept could likewise be woven as a thread through various courses in this type of curriculum. Many areas in the U.S. allow high school graduates to complete a short nursing program that qualifies them to become licensed practical or vocational nurses, who work under the supervision of a registered nurse or a physician.28 In the U.S., these programs usually require from 12 to 14 months of coursework before the student is eligible to take the examination to become a licensed practical nurse (LPN) or licensed vocational nurse (LVN). Similar programs in other parts of the world lead to the title of nursing assistant, technical nurse, or A2 nurse. 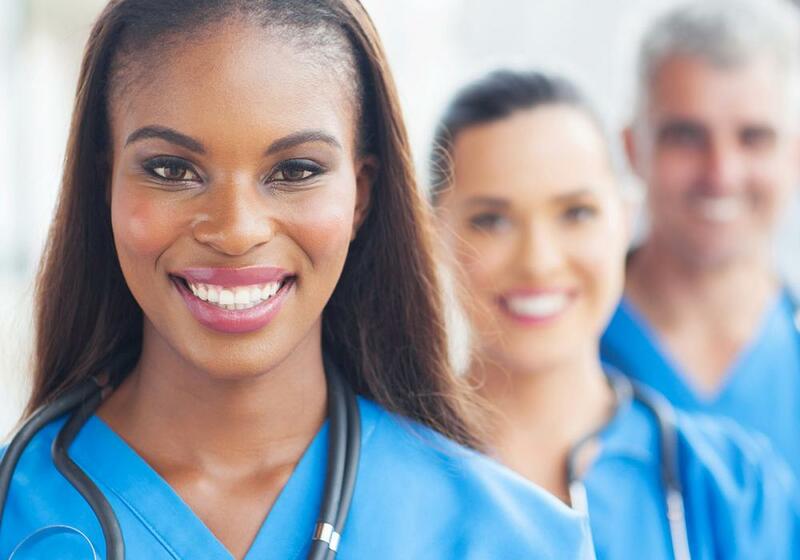 An LPN/LVN can continue education toward becoming a registered nurse (RN) by enrolling in hospital-based RN programs, where available, to prepare for the RN licensing exam, or in two- or four- year nursing programs to earn an associate degree in nursing (ADN) or baccalaureate degree in nursing (BSN). American Nurses Association offers several free resources that can be used in the classroom and adopted into the curriculum. Tools for Nurse Educators: http://www.nursingworld.org/EspeciallyForYou/Educators/Educator-Tools. The American Association of Colleges of Nursing offers several resources for nurse administrators and educators that provide guidelines and suggestions for curriculum design and development. This includes toolkits, Webinars, courses, curriculum guidelines, and much more. For more information visit: http://www.aacnnursing.org/Education-Resources/Curriculum-Guidelines. Colleges and universities should consider providing opportunities for faculty to pursue advanced studies that include training in curriculum and instructional design and development. This could range from short, intensive courses to full-degree programs. For example, Loma Linda University offers an off-campus Master’s program that focuses on nursing education for faculty from sister schools around the world, and the program includes training in curriculum development. Colleges and universities should consider retaining a curriculum design and development consultant who can help train faculty and assist with curricular components such as implementation, assessment, and evaluation. Even though the International Council of Nurses has as one of its goals to achieve standardization in professional nursing education worldwide,29 significant variation still exists: In the U.S. from the 1930s to the 1970s, hospital-based RN diploma programs were quite common. The programs, which usually took three years to complete, were developed by hospitals to ensure a constant supply of nurses for their facilities. However, advancement in the profession was difficult for their graduates, as the programs offered no transferable credit.30 Although most hospital-based programs have been gradually phased out or have partnered with colleges to offer either an associate (ADN) or a baccalaureate degree (BSN), some still exist without any academic partner. In the U.S., diploma programs can obtain accreditation by the National League for Nursing, making their graduates eligible to take the licensing examination and become registered nurses. Schools in many parts of the world still offer two- or three-year postsecondary professional programs that do not offer transferable credits.31 In many African countries, where the prevalence of chronic diseases is increasing, curricula are shifting from a focus on curing communicable diseases to providing care for patients with chronic illnesses. In 1999, the education ministers of the European Union decided to apply a credit transfer system akin to the one used in the U.S. to the whole education system.35 After a time of adjustment among nurse educators, BSN programs are gathering momentum across the continent for two complementary reasons: (1) the undergraduate program appeals to students who appreciate being able to earn transferable credits; (2) the health-care system needs more nurses due to the aging of the current practitioners. Since 2000, the WHO has been pushing for the worldwide upgrading of nursing and midwifery education36 as a means to improve worldwide health. Among others, the authors of a comparative study in China and Europe have demonstrated that baccalaureate nursing education increases the quality of care, cost-effectiveness, and the retention of nurses as well as patient satisfaction.37 Thus, schools in more and more countries around the world offer the Bachelor of Science in Nursing (BSN) degree. As a corollary, while nursing research has been historically limited to English-speaking countries, it has gained momentum in Asia and is on the rise in Europe and Africa. For the past 50 years, nursing educators have incorporated an in-depth system for curriculum evaluation that takes a broader view than simple measurement of how many of their students become registered nurses and whether the programs achieve ongoing accreditation. One of the early curriculum evaluation systems, proposed by Stuffelbeam in 1971, examined the “relationship of curriculum elements . . . reflecting the integrated nature of nursing curricula.”38 This model, known by the acronym CIPP, looked at planning (Context), structuring (Input), implementing (Process), and recycling (Product). Stuffelbeam expanded the system in 1983 to include more in each of the four areas in order to ensure a more wholistic examination of the curriculum from the perspective of the stakeholders, faculty, and students. Although Stuffelbeam’s system has been used and taught throughout the world, nursing schools can adopt a number of other approaches that similarly ensure a systematic evaluation. Iwasiw and Goldenberg39 list 13 different models. A specific model is useful to guide the evaluation process so that a program’s merits and weaknesses can be identified and due consideration given to identifying areas that need extra attention. Curriculum evaluation is time-consuming work, so many nursing schools have adopted a process of “ongoing” evaluation.40 They identify certain aspects of the curriculum that must be evaluated yearly, while other areas receive attention every three to five years. For example, yearly evaluations might include students’ exam pass rates (entitling them to become registered nurses) and exit interviews with graduating students. Similarly, every three to five years, schools may choose to collect information from employers about their satisfaction with graduates, as well as information from graduates about how prepared they felt for their first job as a registered nurse. Nurses who earn a baccalaureate degree are qualified to continue their education at the graduate level.42 In the U.S., college graduates from other disciplines may enter a nursing program at the Master’s level, although they may need to take certain pre-requisite courses. Several specialties are available for nurses seeking advanced-practice degrees at the Master’s level including nurse practitioner (NP), nursing educator, and nursing administrator. There are also two types of doctoral education in the discipline: the doctor of nursing practice (DNP), which is seen as a practice degree that allows graduates to pursue a specific specialty area, and the doctor of philosophy (PhD), which is understood to be a research degree. In most situations, graduate education is necessary to enter the field of nursing education. Many nurses enter the field of nursing education having first been a preceptor for nursing students or a clinical instructor.43 Because they have discovered a love and talent for teaching, they look for opportunities to do more in the field of nursing education. Other nursing faculty are recruited by a nursing school’s administration because of their clinical expertise or the degree they already hold. Some nurses choose to enter the field of nursing education because they want to share what they have learned or because they have the appropriate degree. In most of these cases, the prospective faculty member has not had course work or a background in the underpinnings of the nursing education system: curriculum development. A novice nurse educator may feel utterly lost or overwhelmed when appointed to the curriculum committee or asked to serve on some aspect of the curriculum-evaluation process. For this reason, opportunities for in-service education and training in the area of curriculum design and development should be made available to nursing faculty who are actively engaged in these tasks. For the veteran nurse educator as well as the novice, it is hoped that this article’s definition of curriculum and of key areas involved in developing and assessing it will be helpful when developing or revising a nursing curriculum. 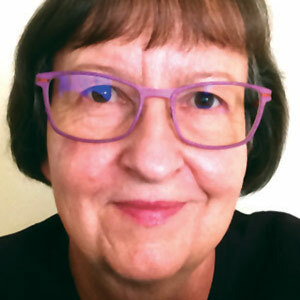 Dolores J. Wright, PhD, RN, is Professor of nursing at Loma Linda University School of Nursing, Loma Linda, California, U.S.A. She teaches on the BSc, MSc, and DNP levels. 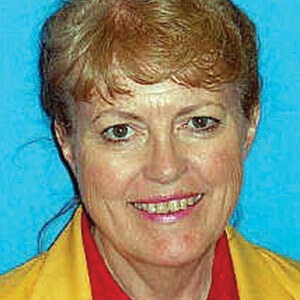 She also teaches Public Health Nursing, Home Health Nursing, Teaching Practicum, and Curriculum Development. Her research interests include nursing education and inter-professional education. Jacqueline Wosinski, PhD, RN, is Dean of the School of Nursing at the Adventist University of Central Africa in Kigali, Rwanda. Her research interests include evidence synthesis, grounded theory and intervention research in health promotion, living with chronic diseases, cultural competence, and nursing education. She teaches nursing theory, health promotion, and evidence-based practice. Dolores J. Wright and Jacqueline Wosinski, “Core Components of the Nursing Curriculum,” The Journal of Adventist Education 79:5 (October-December 2017): 14-19. Available from https://jae.adventist.org/en/18.1.3. American Nurses Association, “What Is Nursing?” (2017): http://www.nursingworld.org/EspeciallyforYou/What-Is-Nursing. International Council of Nurses, “Definition of Nursing” (2017): http://www.icn.ch/who-we-are/icn-definition-of-nursing/. Jon W. Wiles and Joseph C. Bondi, Curriculum Development: A Guide to Practice, 9th ed. (London: Pearson, 2014). Carroll L. Iwasiw, Mary-Anne Andrusyszyn, and Dolly Goldenberg, Curriculum Development in Nursing Education (Burlington, Mass. : Jones & Bartlett, 2015), 4. John Dewey, The School and Society and the Child and the Curriculum (Chicago: The University of Chicago Press, 1991) (Originally published in 1900); Forest W. Parkay, Eric J. Anctil, and Glen J. Hass, Curriculum Leadership: Readings for Developing Quality Educational Programs (Boston: Allyn and Bacon, 2010), 3. Fred C. Lunenburg, “Theorizing About Curriculum: Conceptions and Definitions,” International Journal of Scholarly Academic Intellectual Diversity 13:1 (2011): 1-6. Diane M. Billings and Judith A. Halstead, Teaching in Nursing: A Guide for Faculty, 5th ed. (St. Louis, Mo. : Elsevier, 2015). Em Olivia Bevis and Jean Watson, Toward a Caring Curriculum: A New Pedagogy for Nursing (London: Jones & Bartlett, 2000), 74. Benson R. Snyder, The Hidden Curriculum (Boston: MIT Press, 1973). Neti Juniarti et al., “Defining Service Learning in Nursing Education: An Integrative Review,” Padjadjaran Nursing Journal 4:2 (August 2016): 200-212. Billings and Halstead, Teaching in Nursing: A Guide for Faculty, 80. Billings and Halstead, Teaching in Nursing: A Guide for Faculty, 80; Bevis and Watson, Toward a Caring Curriculum: A New Pedagogy for Nursing. Bevis and Watson, Toward a Caring Curriculum: A New Pedagogy for Nursing. Billings and Halstead, Teaching in Nursing: A Guide for Faculty. Nine entry-level nursing programs in the United States were evaluated and compared in this ethnographic study. Data collection included classroom observations, a syllabus interview, and student and faculty interviews from two core courses in the nursing curriculum. Web-based surveys were also used. For more information, see Patricia Benner et al., Educating Nurses: A Call for Radical Transformation (Hoboken, N.J.: Wiley, 2010). Benner et al., Educating Nurses: A Call for Radical Transformation. Nursing Practice Act, California Code of Regulations, section 1426 (d & g) (n.d.): http://www.rn.ca.gov/practice/npa.shtml#ccr. WHO Regional Office for Africa, Three-year Regional Prototype Pre-service Competency-based Nursing Curriculum, Brazzaville, Congo (2016): http://hrh-observatoryafro.org/wp-content/uploads/2017/01/PROTOTYPE-COMPETENCY-NURSING.pdf. Jan, Krista Chan, and Timothy Bates, Trends in Licensed Practical Nurse / Licensed Vocational Nurse Education and Licensure Examinations, 1998 to 2013 (San Francisco: University of California, 2015): http://healthworkforce.ucsf.edu/sites/healthworkforce.ucsf.edu/files/Report-Trends_in_LPN-LVN_Education_and_Licensure_Examinations_1998-to-2013_v1.1.pdf. Nursing Practice Act, California Code of Regulations, Section 1426 (d & g). Personal communication from Themba T. Thongola, principal of the Kanye Seventh-day Adventist College of Nursing in Kanye, Botswana, Africa, June 2016. Elizabeth H. Mahaffey, “The Relevance of Associate Degree Nursing Education: Past, Present, Future,” Online Journal of Issues in Nursing 7:2 (May 2002): 11. Lower-division credits are for the first two years, or freshman and sophomore years of college leading to an associate degree. Four-year (baccalaureate) programs require not only undergraduate but also upper-division credits (taken during the junior and senior years) and convey a BSN degree. One hour of classroom instruction each week during a semester or quarter equals one unit of credit. In a quarter system (10 weeks per quarter), one unit of credit indicates that a student has spent 10 hours of in-class time; similarly, three hours of practice or clinical time each week (or 30 hours of practice during the term) also equals one unit of credit. In a semester system (with 16 weeks per semester), one unit of credit would indicate that the student had spent 16 hours in a theory course or 48 hours of time in clinical practice. For more information, see Nursing Practice Act, California Code of Regulations, Section 1426 (d & g) (n.d.): https://govt.westlaw.com/calregs/Document/IECADF240CCD411DF9C2DE816E9BE2880?transitionType=Default&contextData=(sc.Default). Janna Dieckman, “History of Public and Public Health and Community Health Nursing,” in Marcia Stanhope and Jeanette Lancaster, eds., Public Health Nursing: Population Centered Health Care in the Community, 9th ed. (St. Louis, Mo. : Elsevier, 1987): 22-43. European Ministers of Education, The Bologna Declaration (1999): http://www.magna-charta.org/resources/files/BOLOGNA_DECLARATION.pdf. WHO Department of Human Resources, Global Standards for the Initial Education of Professional Nurses and Midwives, Geneva, Switzerland (2009): http://www.who.int/hrh/nursing_midwifery/hrh_global_standards_education.pdf. Ann Kutney-Lee, Douglas M. Sloane, and Linda H. Aiken, “An Increase in the Number of Nurses With Baccalaureate Degrees Is Linked to Lower Rates of Postsurgery Mortality,” Health Affairs 32:3 (March 2013): 579-586. doi: 10.1377/hlthaff.2012.0504; Li-Ming You et al., “Hospital Nursing, Care Quality, and Patient Satisfaction: Cross-sectional Surveys of Nurses and Patients in Hospitals in China and Europe,” International Journal of Nursing Studies 50:2 (February 2013): 154-161. doi: http://dx.doi.org/10.1016/j.ijnurstu.2012.05.003. Iwasiw and Goldenberg, Curriculum Development in Nursing Education, 2015, 371. Sarah B. Keating, Curriculum Development and Evaluation in Nursing, 2nd ed. (New York: Springer, 2011). Iwasiw and Goldenberg, Curriculum Development in Nursing Education. Your Guide to Graduate Nursing Programs Brochure (Washington, D.C.: American Association of Colleges of Nursing, 2013): http://studylib.net/doc/8812385/your-guide-to-graduate-nursing-programs. A preceptor for nursing is often a staff nurse with at least a BSN who does not serve as teaching or adjunct faculty at a college or university. The preceptor’s role is to aid the student nurse during the transition to an RN by modelling and guiding practice, often during a final practicum course. A clinical instructor is often a full-time, part-time, or adjunct faculty member. Clinical instructors typically have Master’s degrees and may serve as a preceptor coach. For more information, see “Preceptor and Clinical Faculty Roles With Undergraduate Students” in Precepting Graduate Students in the Clinical Setting, Bette Case di Leonardi and Meg Gulanick, eds. (Chicago, Ill.: Loyola University Chicago, 2008), 131-151.